Parenting can be a challenge. The joys and rewards of parenting are often mixed with uncertainty and frustration. Sometimes a few tips can help along the way. Showing children respect is the best way to teach them respect. Children deserve, and respond positively, when they are treated with respect. Notice the tone of voice you use with your child. Is it generally pleasant and conversational? Even when discipline is necessary, it can be administered in a way that preserves the dignity of the child. When you do lose your temper, make a short, sincere apology. Because it is a parent’s job to teach children appropriate behaviors, we notice when they do inappropriate things and correct them. However, we rarely acknowledge the many times children do what we expect. Occasionally noticing positive behaviors without over praising can increase those behaviors. Try to notice “something right” several times a day. When you don’t follow through, you teach your children that they don’t have to listen to you. When you consistently follow through on boundaries you set, your children will understand that you mean what you say. When you have a habit of following through, you won’t wear yourself out by constantly repeating yourself or getting so frustrated that you yell. Your children will respect you more and behave better. There will be more time and energy for doing things the family enjoys. 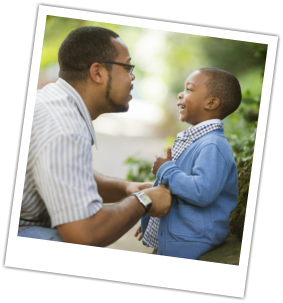 When it is necessary to correct a child’s behavior, parents frequently tell the child to stop the problem behavior without saying what to do instead. Coaching children in the appropriate behavior can be effective, and help them learn to problem solve. Most importantly, it lets the children know they are not alone with their feelings. It creates a sense of bonding between parents and children. It helps children build a “feelings vocabulary,” so they can better express themselves. Parents can describe their own feeling reactions to show appropriate ways to manage their feelings. "I feel worried when you go near the water without your life jacket. If you can’t follow the rules, we’ll have to find something else to do because I don’t like feeling worried." "I am very angry with you right now. I want to take a time out before we talk about it." "Wow! I am proud of the job I did fixing the faucet. High five!" Offer your child two equally attractive ways to complete an activity. With this technique, the desired outcome is not in question, but the child can choose how to achieve it. 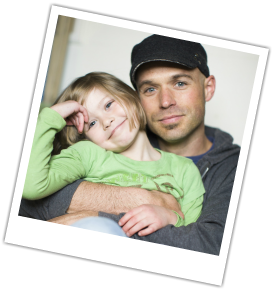 Parenting Tip #8: Giving Choices: Do Over or Time-Out? When children misbehave, parents can give the option of having a “Do Over” or a time-out. “That is a disrespectful tone of voice. Would you like to take a polite “Do over,” or do you want a time-out? When you give children time to adjust to a change in activities, they will be more cooperative. The amount of time and number of reminders will depend on age of the child. Generalities work for a child too young to understand units of time. "Pretty soon we have to put the toys away, so finish up your play." (Wait a few minutes.) "I’m going to count to ten, then we’ll start to put the toys away." Older children will appreciate time warnings so they can adjust their expectations. "In thirty minutes it will be time for the computer to go off.... Ten minutes left of computer time....You have two minutes to finish up." Stop what your are doing and make eye contact. Make verbal responses to show your are listening: "Mm Hm." "I see." "Oh." Take your child's view of the circumstances seriously. Acknowledge the feelings involved, both spoken and implied. Let very young children do chores when they want to be helpers. Older children benefit from having regularly scheduled chores. When using a reward system with children, it is not necessary for parents to make a purchase. Children can earn time on their favorite electronic device, “stay up late minutes,” or the privilege of choosing their favorite dinner, for example. Note: Time with parents is part of unconditional love, and should not need to be earned, although special outings could be part of a reward system.